Curtis Circulation Company has announced a new outdoor publication soon to be released on the market. 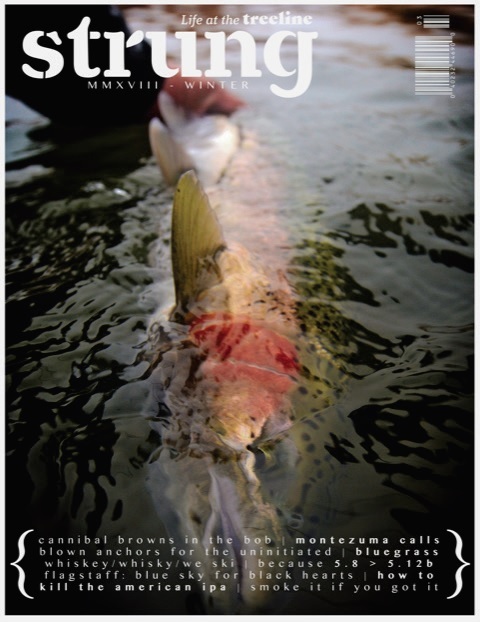 The first Curtis-published issue of Strung Magazine will be the Winter ’18 issue, on sale December 4, 2018. New Milford, NJ – Curtis’ Senior Vice President, Publisher Services and Sales Development, Michelle Ingenito, has announced that Curtis Circulation Company, LLC will launch Strung, published by Strung Magazine. STRUNG MAGAZINE is a new outdoor publication dedicated to living a mindful sporting and outdoor lifestyle in the 21st century. STRUNG features crisp imagery and remarkable storytelling with an emphasis on the new and unique. Rotating features focused on mountain biking, rock climbing, and craft beer/spirits bolster staple departments dedicated to fly fishing, upland bird and deer hunting, destination travel and the preservation of natural resources. A quarterly publication, String Magazine retails for $12.99 in the U.S. and $13.99 in Canada. The Winter ’18 issue goes on sale December 4, 2018, and will be the first Curtis-distributed issue. The New Milford, NJ-based firm is a worldwide periodicals distributor, representing many leading and prestigious publishers. For more information on Curtis visit www.curtiscirc.com.